There is a misguided belief in “Britain” amongst the political classes, a belief that below the surface there is a common British identity that unites us all and will stave off the forces of celtic nationalism. Their obsession with celtic nationalism and indifference to English nationalism will come back to bite them in the arse but that’s a different topic. I’ve just got back from a fortnight’s holiday – the first week was spent in Somerset and the second week in Ceredigion (or Cardiganshire as it used to be called). 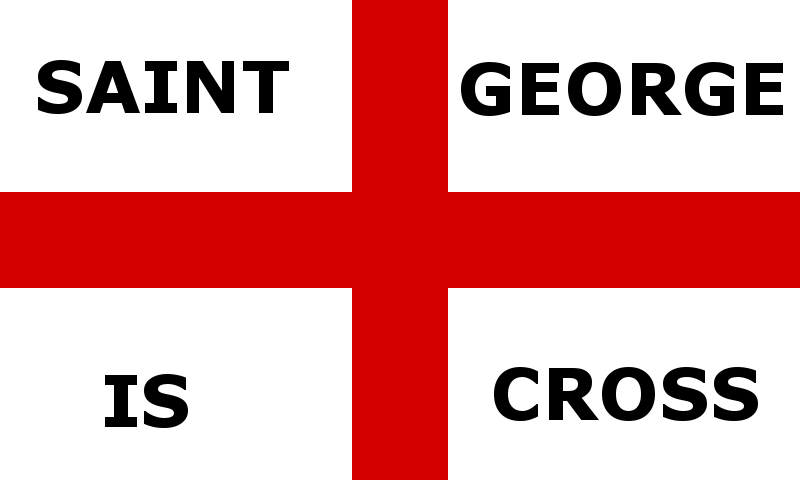 There was an abundance of English flags in Somerset (Burnham-on-Sea to be exact) but not to the exclusion of the British flag, just a lot more St George’s Crosses than the butchers apron. Wales was different though (at least the part of Wales we stayed in) – the only British flag I saw was, ironically, outside the Welsh Assembly building in Aberystwyth where it occupied one of the “other” flag poles to the side of the Welsh flag, the other “other” pole sporting the ring of stars logo of the EU. Flags aren’t the only symbol of nationhood and cultural independence of course and this is where the Welsh have the English at an advantage: the Welsh language. 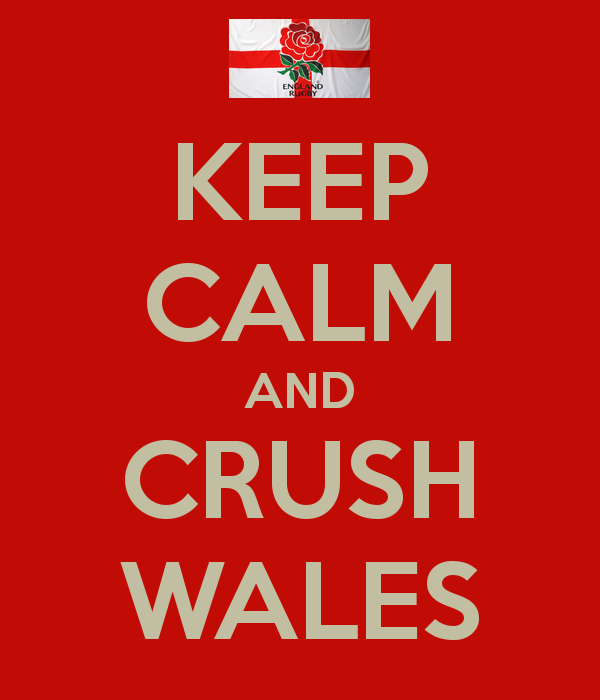 People in the street, in cafés and shops spoke Welsh to each other. Not just old people who grew up in a time when Welsh communities were often isolated and the Welsh language survived simply because they weren’t exposed to English, it was people my age and most importantly, young people. Welsh kids sitting in cafés with their family quite easily swapped and changed between English and Welsh depending on who they were talking to without hesitation and they are the ones who will decide what the de facto first language of Wales is in a decade or so. Road signs are an indication of the change in the status of the Welsh language. Dual-language signs were permitted in 1965, a national roll-out started in 1972 and until relatively recently they have generally been in the form of English road signs with Welsh translations. The opposite is now true in most of Wales – the road signs are in Welsh with English translations. English speakers are accommodated alongside Welsh rather than the other way round such as you might find in arab countries where the latinised version place names are included underneath the arabic. English being the lingua franca of international trade and diplomacy has many advantages on the world stage but at home it takes away one of the most obvious things that unites a people and sets them apart from their neighbours. If England had a unique language of its own in everyday use – pockets of Old English speakers, perhaps, that could be used as a starting point – then the English identity would be a lot stronger than it is now and we wouldn’t be facing problems such as the threat from Britification and the public’s willingness to accept institutional discrimination as the price of the union. Wales, like Scotland, has been lost by the British. The symbols of British cultural imperialism that you see in England just don’t exist in the celtic nations. The companies and political parties investing in Britishness are limiting themselves to an increasingly narrow section of English society who still believe in Britain. Support for English devolution is consistently falling just shy of the 70% mark whilst support for English independence has jumped to 36% in a Comres poll published in July this year. A TNS-BMRB opinion poll published in June this year showed that support for Scottish independence has risen to 37% (51% in people under 24) and in Wales the most recent opinion poll I can find is 2007 which shows support for independence at just 12%. Support for devolution in Scotland was 70% in a 2009 Populus poll, the Welsh referendum on extending devolution this year was 64.5% and the last poll I’ve seen in England was 67%. Support for devolution in England is higher than in Wales and almost as high as Scotland. But the independence figure is the one that is most interesting – almost as many English people support English independence as Scots do for Scotland (and significantly more than support Welsh independence) but the rate at which support for independence is increasing in England far outstrips any increase in support that Scotland has ever seen. Companies have already realised that Britain is a toxic brand in Scotland and Wales which is why you will rarely find anything overtly British in shops and supermarkets outside of England. The same goes for political parties – there is not a single -England arm of any UK political party but they all have -Scotland and -Wales arms. Charities and non-profit organisations are the same – there is an Age Scotland, Age Cymru and Age UK; there is a British Medical Association (BMA) Scotland, BMA Wales and plain old “the BMA” for England. What they have failed to notice is the increasing irrelevance and even opposition to “Brand Britain” in England and that will cost them dearly in the very near future. The union could still have a place in our future, albeit in a significantly different form to the current union but it will only survive the next few years if it is reconfigured on the basis of fairness, equality and respect for all the people of these four nations. There is a small (and I mean small – a couple of years at the most) window of opportunity for the British to save their union but they will need to put their imperial past behind them and start thinking the unthinkable: most of “Britain” isn’t British any more. For the last few weeks there have been a couple of letters a week complaining about the proposed new wind turbines to be erected in Wales “for the English”. The suggestion is that windmills shouldn’t be built in Wales for the benefit of “the English” and that “the English” shouldn’t have any input in planning decisions concerning them. Not long ago, we had public consultations on the proposed reconfiguring of services at the Royal Shrewsbury Hospital and Princess Royal Hospital. Of the seven consultations held, three were in Wales and the Shropshire Star letters page was full of letters from “the Welsh” complaining about how the proposed changes would be to their detriment. Talk about double standards. I agree that wind turbines are a blight on the landscape and certainly wouldn’t want them in my back yard. It’s a shame so many of them blight the Welsh landscape as well but if “the Welsh” want someone to blame, it’s not “the English”, it’s their own government. The Welsh Assembly is committed to onshore wind farms and it is the Welsh Assembly that makes strategic planning decisions in Wales. It’s not “the English” they should be complaining to, it’s “the Welsh”. Wind turbines are the most inefficient and expensive form of renewable electricity, requiring vast amounts of taxpayers money to make them financially viable for the operators. Windmills are so expensive and ineffectual that operators can’t make back the cost of building and running them before they reach the end of their life. We should all oppose the construction of windmills not for their unsightliness or because they’re being built to power another country but because they are a gross waste of taxpayers money and the justification for building them – global warming – is nothing more than a scam. Even NASA is predicting a period of global cooling because of a decline in sunspot activity (something the “scientists” who make millions from the global warming scam claim has no significant impact on the climate). I read with disbelief that Councillor Mike Ion is calling for the Home Secretary to ban a proposed march by the English Defence League in Wellington on the day of AFC Telford United’s first match of the season. Here is a man who apparently cares so deeply about democracy that he went to the effort and expense of standing for election to the council but then starts a campaign to deny EDL members their right to peaceful protest – one of the cornerstones of modern democracy! The 19th century author, Evelyn Hall, wrote “I disapprove of what you say, but I will defend to the death your right to say it”. We may not agree with the EDL but that is not an excuse to deny them their rights. Mike Ion and the other Labour councillors that are supporting his fascist campaign should hang their heads in shame. I believe in free speech and democracy and that sometimes means having to hear and accept things that you don’t agree with. Banning people from expressing contrary views is something you associate with repressive regimes in places like China or Burma, not England. The EDL should be allowed to hold a peaceful protest in Wellington and if Unite Against Fascism wish to hold a peaceful counter-protest then of course they should be free to do the same. Personally, I despise the UAF thugs that drag these protest marches into violence but I certainly wouldn’t want them to be banned from protesting. If Councillor Ion is successful in banning the EDL from marching in Telford not because of a risk of serious public disorder but because he disagrees with them, this will set a dangerous precedent. Who would be next? Would I be banned from criticising the EU because my views are contrary to those of the LibLabCon? I would urge anyone who opposes the EDL to simply ignore them on the day rather than support an undemocratic, unconstitutional ban on their right to peaceful protest. Like Councillor Davies (21/06), I am dismayed by the child poverty figures produced by the “End Child Poverty” campaign. In my ward (Brookside) the figures show that 38% of children are living in poverty. I disagree to some extent with the methodology the group uses. Poverty is defined by the group as a household income of 60% less than UK middle income of almost £26,000 but an average middle income in Telford is around £19,000. Rent/mortgage payments are taken off household income even though most households with an income of just £10,000 would receive housing benefit. The figures are also “adjusted” in an unspecified way as the only available data is 3 years old. That doesn’t mean the figures don’t have any value – they may not be an accurate measure of poverty in Telford & Wrekin but they are a useful indicator of relative poverty in the borough and the fact that Brookside is in the top 5 most deprived wards in Telford & Wrekin only makes the borough council’s refusal to press ahead with much-needed generation on our estate all the more indefinsible. The best way to tackle poverty is not with handouts but with jobs and support. Brookside desperately needs some serious investment to create jobs and provide support to people who want to get off benefits and start working. With the latest announcement of funding from the borough council, Woodside will have had £70m spent on regeneration whilst Brookside has had nothing – in fact, £2m of the £4m set aside for regeneration for Brookside was pillaged by the previous administration to pay for regeneration in Sutton Hill! The owners of the businesses in the Brookside local centre have done their best to make the precinct more appealing to residents but with an open-ended promise of regeneration they aren’t going to make any serious investment when the whole thing could be knocked down within a couple of years. We need a commitment to regeneration from the borough council with timelines so the residents of Brookside can hold the council to account if it doesn’t happen and so that those people that want to invest in Brookside can make plans for the future. David Burton is incorrect in his response to Simon Rogers’ letter claiming last year’s general election was a referendum on our membership of the EU. The general election was no more a referendum on the EU or UKIP than it was on foreign policy, the environment, devolution or any other subject that motivates the electorate at any other time. Generations of voters have put their cross next to one of the europhile parties for no other reason than their parents voted for Labour, the Lib Dems or the Conservatives and last year they did exactly the same thing. The vast majority of people want to free our country from the tyranny of the European Empire but the British government won’t listen. The electorate are lied to, conned and stolen from by politicians from the LibLabcon but most people still vote for them. Why would they listen if they know they can rely on the votes of people they cheat and deceive? Kick them in the ballot box and they might start listening. And while I’m on the subject of elections, can I remind the Shropshire Star that the Lib Dem, Liz Lynne, is not “the MEP for Shropshire” as she is routinely described? She is just one of six MEPs – three Conservative, two UKIP and one Lib Dem – elected in the West Midlands euroregion in 2009. None of the West Midlands MEPs (including Liz Lynee who is based in Stratford-upon-Avon) is based in the county which shows what a farce the EU’s regionalisation of England is.